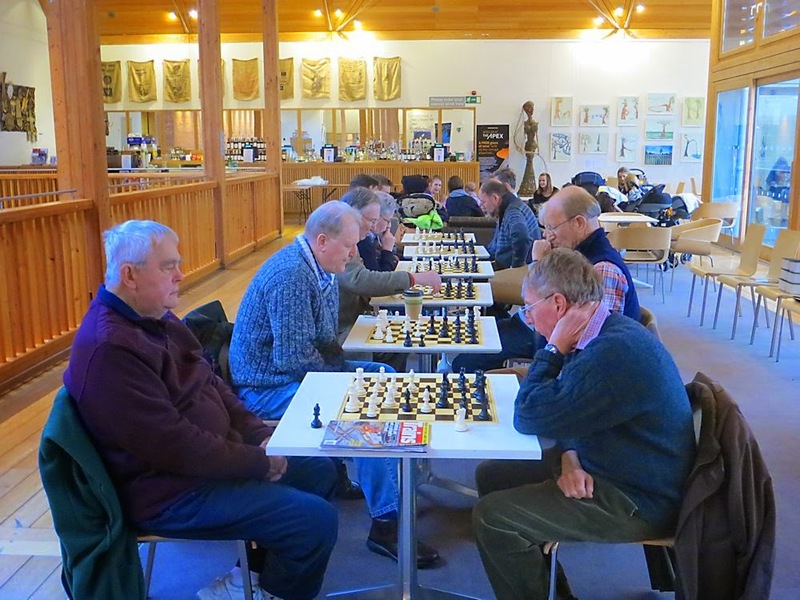 The new Apex Chess Club in Bury St Edmunds continues to thrive, with some 20 active members. 13 turned up yesterday afternoon to play in a friendly and relaxed atmosphere, despite having to compete with a 'mother and baby' group (seen in the background in the photo above)! The Club meets every Tuesday afternoon from 15.30 to 17.30. It's completely free, and you can leave your car in the adjacent car park without having to pay ('Free after Three' on Tuesdays). The Club is ideal for retired or unemployed people, as well as children who can turn up to play when school is over.